To the uninitiated a gourmet cookbook devoted to recipes using marijuana seems like a oxymoron but The 420 Gourmet is a foodies delight. Written by an author who calls himself JeffThe420Chef, the book provides a basic introduction to cannabis cooking followed by over one hundred recipes from sauces and dips to main dishes and desserts. Whether you are just cooking for yourself and family or for friends, there are recipes here to delight everyone with flavor alone. Jeff’s recipes are planned to be part of full meals of cannabis-infused foods and are therefore low dose so that diners can have more than just a bit or two. The recipes also are free or almost free of the cannabis flavor so taste distinctly different. The key to Jeff’s low dose flavorful recipes is the way he handles the cannabis as he prepares it for infusion and he outlines these steps in detail. Since dosage a key element in cannabis cooking, Jeff also includes charts for calculating THC/CBD in foods. The recipes cover a large range of dishes beginning with cannabis infused butters and oils. Jeff’s “light tasting” canna butter and ”light tasting” canna oil are the means by which Jeff introduces cannabis into all the other recipes in the book. Readers can choose from old favorites such as mac & cheese, Caesar salad with grilled chicken, or flying pigs in blankets to more exotic fare such as hazy Thai wings, pumpkin lamb soup, and sweet potato gnocchi with lemon pesto. 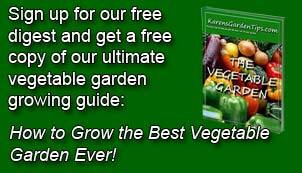 A section for vegetarians includes fire-roasted veggie lasagna, mushroom risotto, and chickpea & eggplant tajine. If you decide you don’t want to include cannabis in a dish, no problem, the recipe can easily be adjusted and will still be delicious. 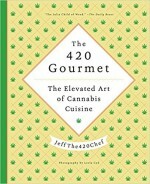 Anyone interested in gourmet cannabis cooking will find something within this book to enhance their dining experience. All the recipes include a brief introduction to the dish, information on servings, prep time,cook time, and THC/serving as well as an ingredient list and step by stem directions. Full page photographs enhance the book although not all the finished dishes are included. From the instructions on handling cannabis to the recipes and dinner menus suggestions the book is a treasure trove of good ideas. To buy The 420 Gourmet from Amazon.com Click Here.